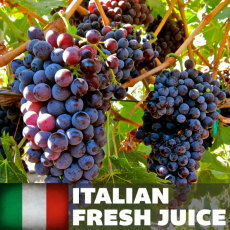 Our current pre-order offering is for fresh grape juice from California AND Italy! A lovely juice to be made into a fabulous wine, Muscato is consistently a crowd-pleaser with wonderful fruity flavors and incredible aromas! Frascati is a wine from the area around Rome made from a blend of grapes that lend citrus character, acidity and a floral aroma to its exquisite boquet! Malvasia Bianca is a widely-planted white wine grape that produces fruity, luscious wines with flavors and aromas of honey, pear and a whisper of allspice! A juice from the northeastern Veneto region of Italy, Valipolicello produces fabulous wines with floral and earthy aromas, flavors of sour cherry, and a lively acidity! 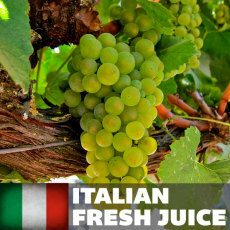 A grape from the northern piedmont region of Italy, Nebbiolo juice produces stunning wines with a unique rose scent as well as complex berry, stone fruit and tobacco notes. Acid and pH balanced, just pitch nutrient and yeast! Make world class wine from scratch!